YUM. We do a different version of this but I may have to give yours a whirl instead. 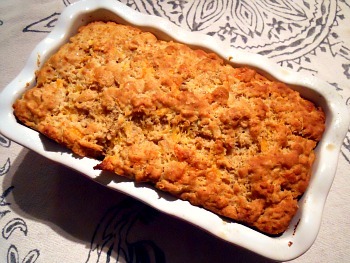 Can’t go wrong with beer bread! I have never made bread before. I made this for a dinner party last night and was stressed that it would turn out well – and it was incredible. You are so right about the house smelling so good and then EVERYONE raved about it. I had it with a hearty vegetarian stew and it was the perfect complement. Oh – and so easy! 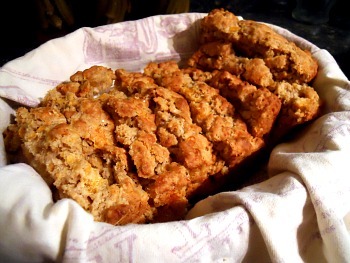 Oh – my mom just made some Irish Soda bread this week and I have been trying to find a quick bread recipe to try myself. I think I may have found the winner. This would be perfect with warm soup or chili on a cold winter evening. Or in the morning with eggs.